Working with Chakras means creating power within yourself, so you deal with life issues energetically and never be reduced by them even if you are facing the deadliest moments in life. You need to bring all the aspects into a harmonious relationship, so you gain face life courageously knowing that you have great power in your body. However, you can only awaken the powers if you understand the system and have the right tactics of making it give you the results you want. Chakras meditation helps you refresh and re-energize yourself every time you are down and need to be up. To get the best from each of the Chakras, you need to understand the role that each of them plays and how you can make it give you the best. Like the wheels of a car, all of them are very vital, and you need to make sure that all are in good conditions, so you move and get the best. Each of them is a focal point through which you process all life energies. It means therefore that if you can explore all of them and get the best, you can be assured of healing and removal of the pains that sometimes make life unbearable. Imagine you have life-giving energy inside you and all you have to do is make sure each of the seven points is working and giving you the best they can at all times. With the breath alone, you can give power to all the others and awaken the sleeping giant in you. It’s sometimes surprising that we allow ourselves to be reduced by everyday tasks, yet we have power inside us to transform things and give life a new meaning even when hope seems to be far from us. Whenever you feel you are down, wake up and create time for Chakras meditation. If you do the meditation in the right manner, you can be sure to get the energy you need. During the Chakra meditation, let every power center get its proper treatment and not just a partial part of what it deserves. Meditation can change things and make you have a different view of life apart the fact that it’s an opportunity to awaken the powers you’ve been sleeping on and not letting them help you be the best person you can be at all times. If only you can be determined to see things the way they are and let Chakras meditation get the attention and treatment whenever you are doing it, believe me that the power you have can remove all those problems you have. 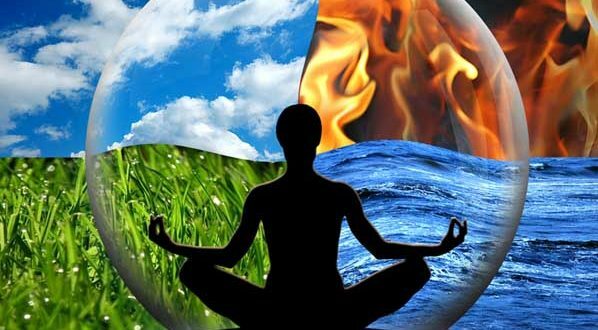 Whether you have spiritual issues, financial fears, unhealthy relationships or any other problem that’s making life unbearable, you have the power within you to fix all only of you awaken it through Chakra meditation. However, know that when it comes to meditation, you have to do it appropriately and not just for the sake of it. Indeed, Chakra meditation can awaken your powers even if you had become weak for a long time. If you can give it a chance, you’ll see wonders in life and live to be vibrant and go about your activities happily every day. Do not accept to toil and moil because of problems yet you have a lot of power that lies in you waiting for you to use it.